The IxDA is pleased to announce its first annual conference–Interaction 08. 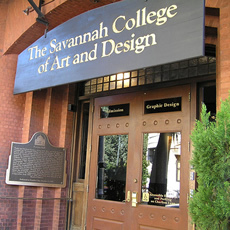 Interaction 08 will be held from February 8-10, 2008 in historic and festive Savannah, Georgia, on the campus of The Savannah College of Art and Design. Join several hundred Interaction Designers from around the world as we address the design of interactive systems of all types: applications (web and desktop), mobile, consumer electronics, digitally enhanced environments, and more. Start your year off with stimulating talk, fun parties, and smart discussions about our growing field. Interaction 08 will feature two days of inspirational and tactical sessions geared at anyone who practices Interaction Design, as well as a day of pre-conference workshops. We're planning two tracks of thought provoking discussions during each day, followed by social gatherings on Friday and Saturday evenings. UPDATE: Videos of most talks are now available. To view them, click the links for the talks below, or see the Interaction 08 Video Page.